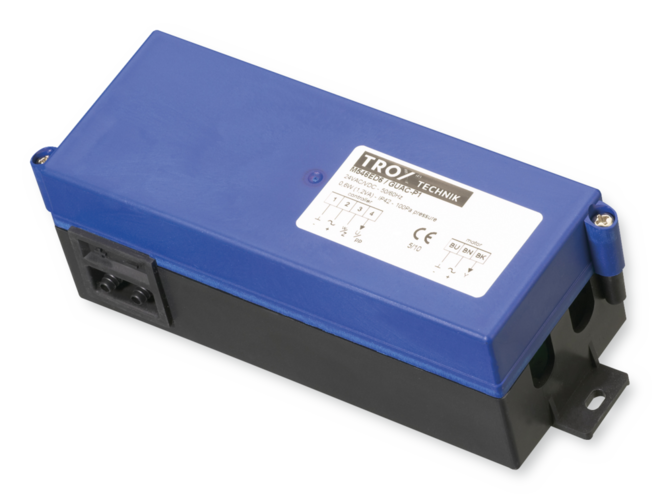 Electronic volume flow controllers of Type Universal (static) are designed for use with VAV terminal units. Please note that in critical cases, material compatibility testing must be carried out on the air terminal unit and the differential pressure transducer, taking into consideration the harmful substances involved and the concentrations in which they occur. 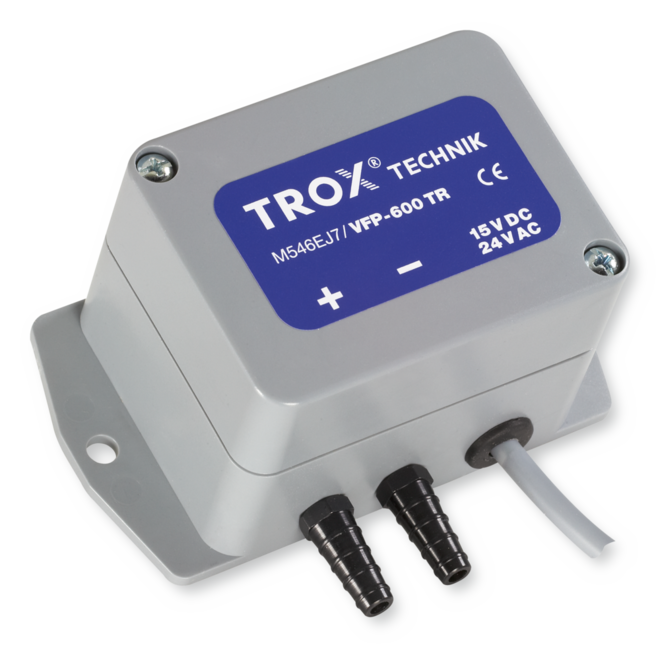 The static differential pressure transducer transforms the effective pressure into a voltage signal. The volume flow rate actual value is hence available as a voltage signal. 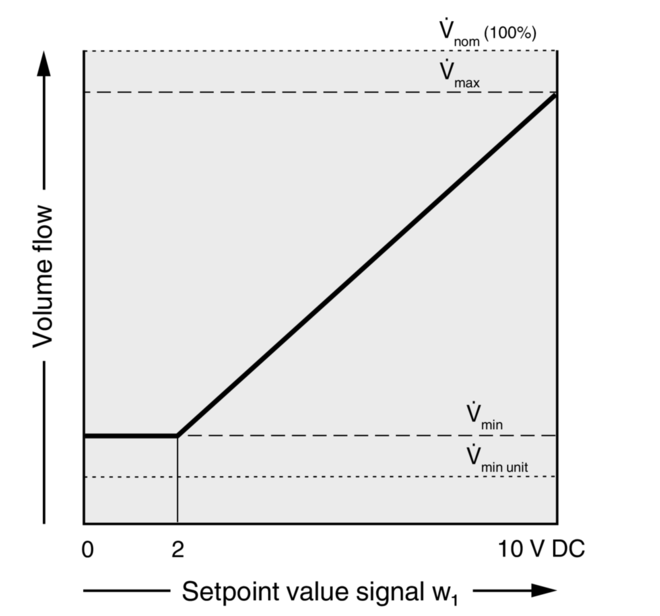 The factory setting is such that 10 V DC always corresponds to the nominal volume flow rate (Vnom). The controller compares the volume flow rate setpoint value to the actual value and controls the actuator accordingly if there is a difference. The volume flow rate parameters Vmin and Vmax are set on potentiometers (VRP) or stored in the controller. Voltage ranges are factory stored in the controller. Changes on the customer's site can easily be carried out using a potentiometer, an adjustment device or a notebook with service tool. Any attachments must be defined with the order code of the VAV terminal unit. 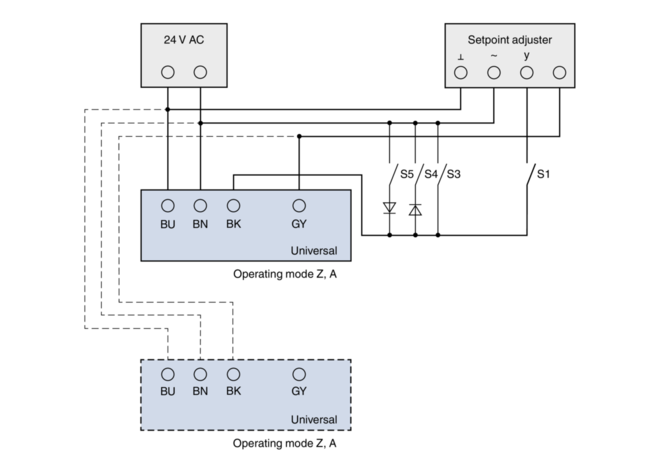 When the MP bus interface is used, the analog 0 – 10 V or 2 – 10 V interface cannot be used at the same time. Carry out zero point correction for the controller and adapt the actuator. 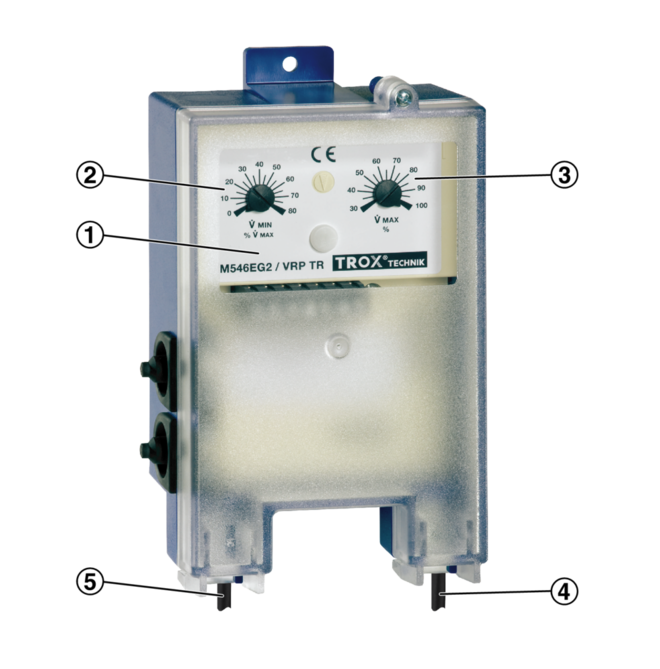 The static differental pressure transducer transforms the differential pressure into a voltage signal. 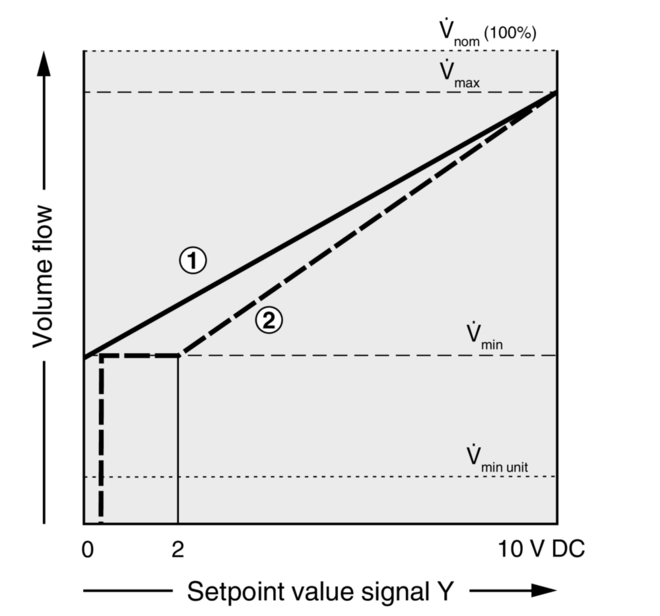 The differential pressure actual value is available as a voltage signal. The factory setting is such that 10 V DC always corresponds to the nominal differential pressure (Δpnom). 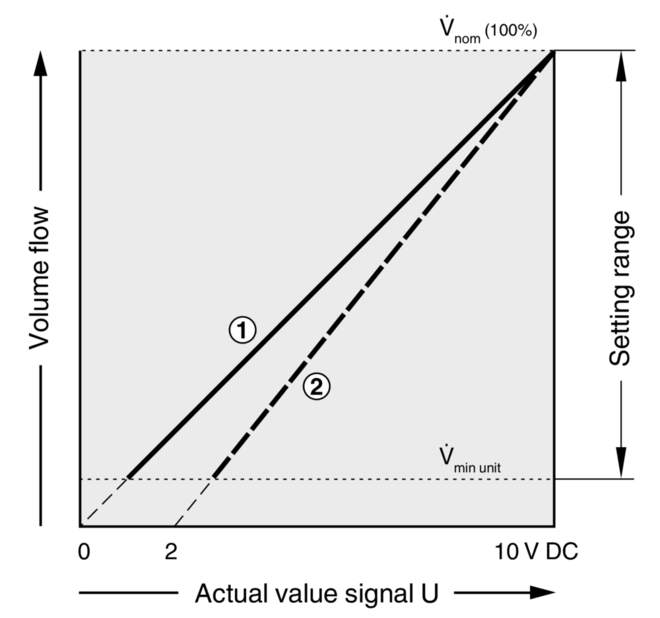 The differential pressure setpoint value is either a constant value or it comes from a setpoint adjuster or from switch contacts. 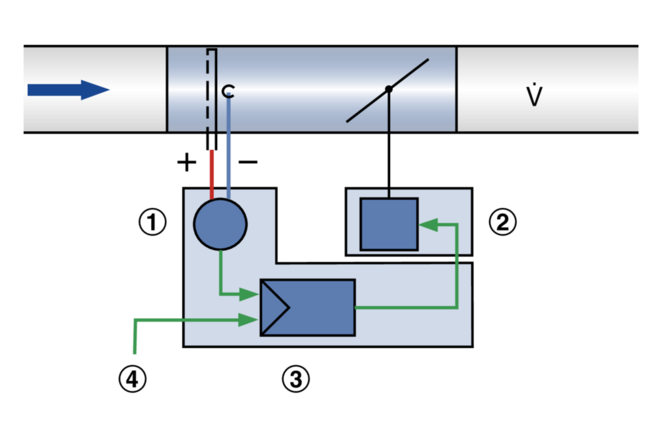 The controller compares the differential pressure setpoint value to the actual value and controls the actuator accordingly. 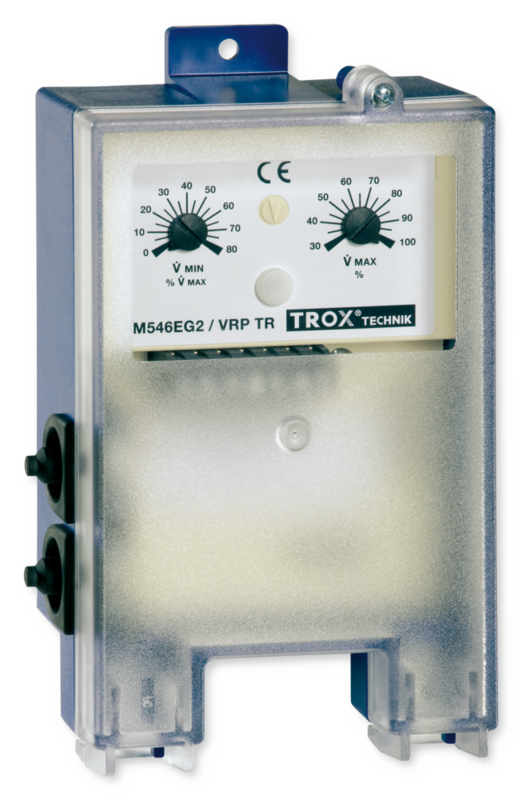 The differential pressure parameters are set on a potentiometer (VRP-STP) or stored in the controller. 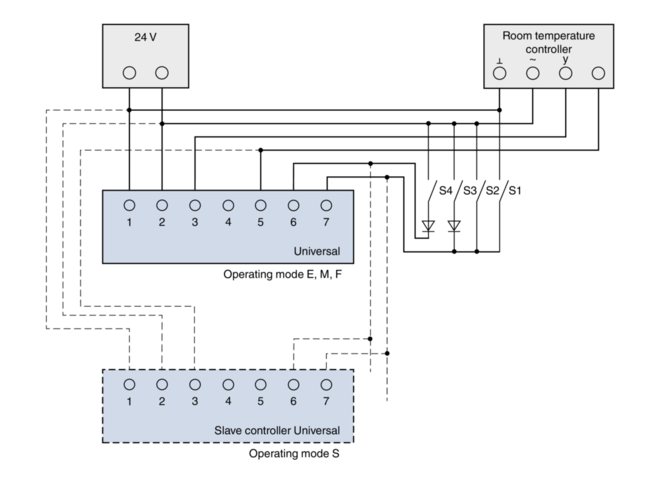 Voltage ranges are factory stored in the controller. Changes on the customer's site can easily be carried out using a potentiometer, an adjustment device or a notebook with service tool. 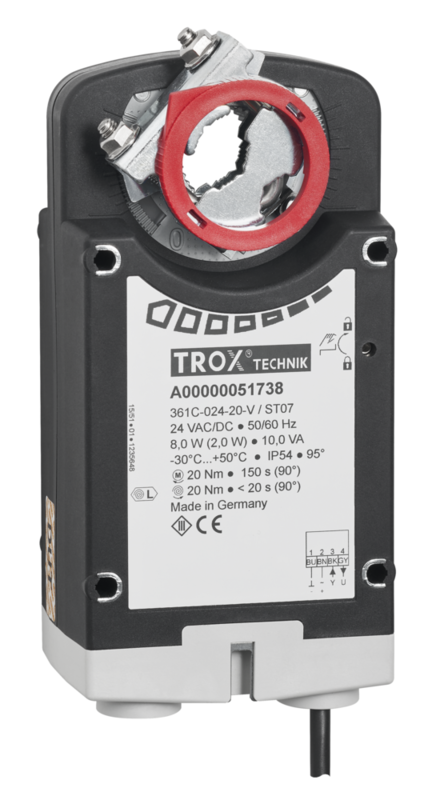 Relays or switch contacts connected to the control signal input Y/Z can be used to achieve constant pressures ∆pmin and ∆pmax or to override various control settings. Factory settings are as follows: Differential pressure ∆pmin as ordered and for room pressure controllers the adequate ∆pnom. 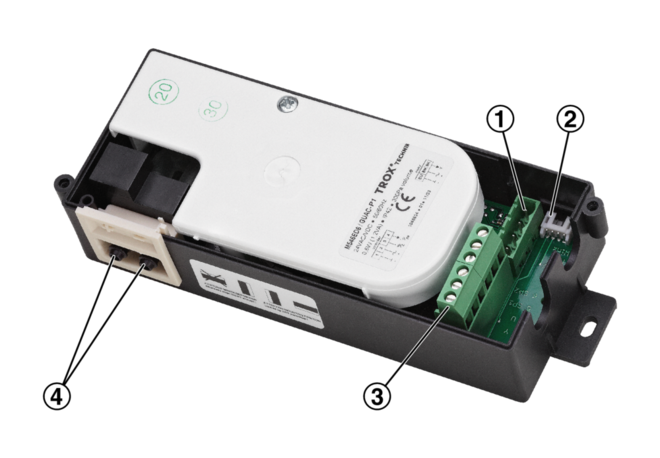 The effective pressure sensor of the VAV terminal unit is short circuited. 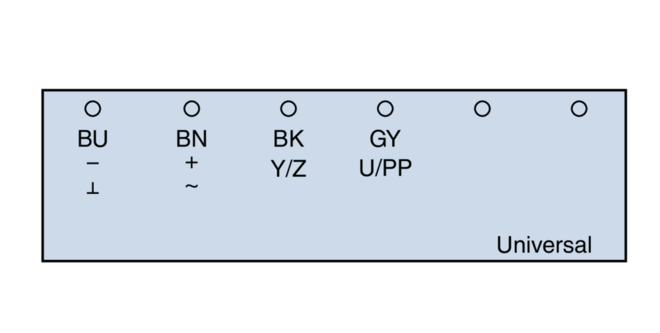 The differential pressure setpoint value as given in the order code is stored as Δpmin in the controller. 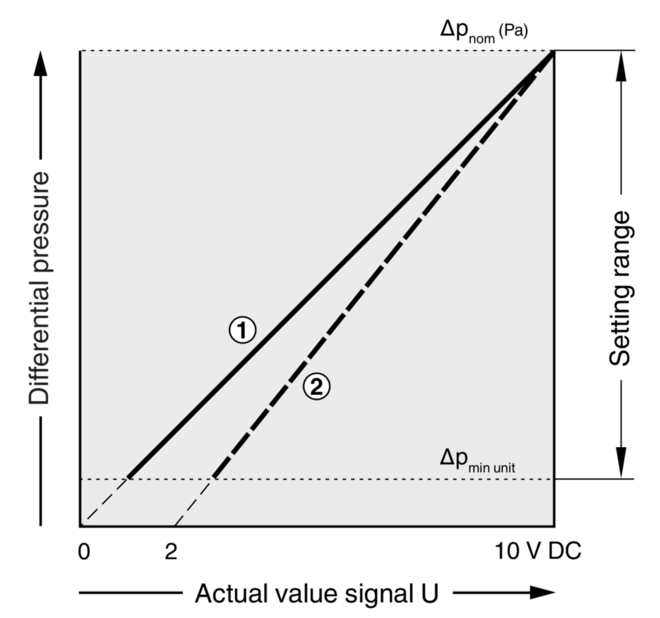 The nominal differential pressure Δpnom is the reference unit. 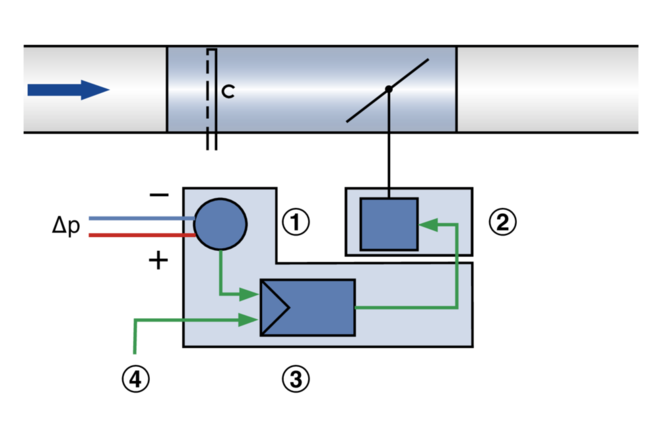 To maximise the control accuracy, different pressure ranges with the corresponding nominal differential pressures are used. The correct range is factory set. It is possible to change Δpmin at a later stage but only within the factory set pressure range. 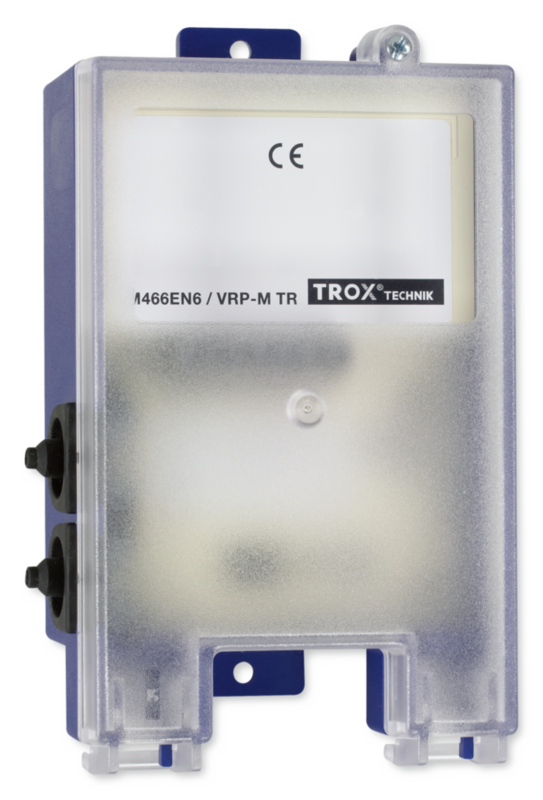 A setpoint value signal enables variable pressure control. The control range is Δpmin to Δpmax, based on the setpoint value signal 0 (2) – 10 V.
Using a control signal also setpoint values < 30 % of Δpnom can be set. Pressure values smaller than Δplimit will be set to zero because they cannot be precisely controlled. 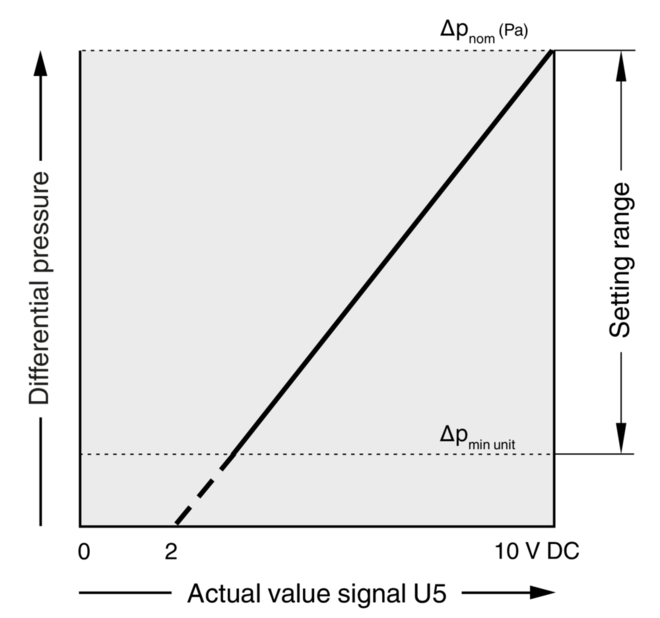 The differential pressure setpoint value that has been ordered (order code) is factory set as Δp in the controller. The nominal differential pressure Δpnom is the reference unit. 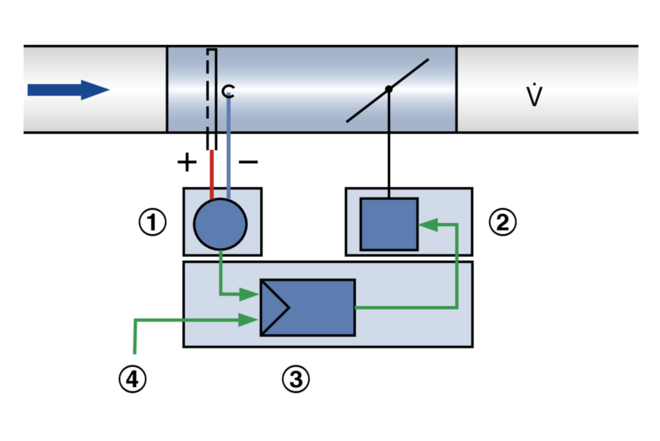 To maximise the control accuracy, different pressure ranges with the corresponding nominal differential pressures are used. The correct range is factory set. 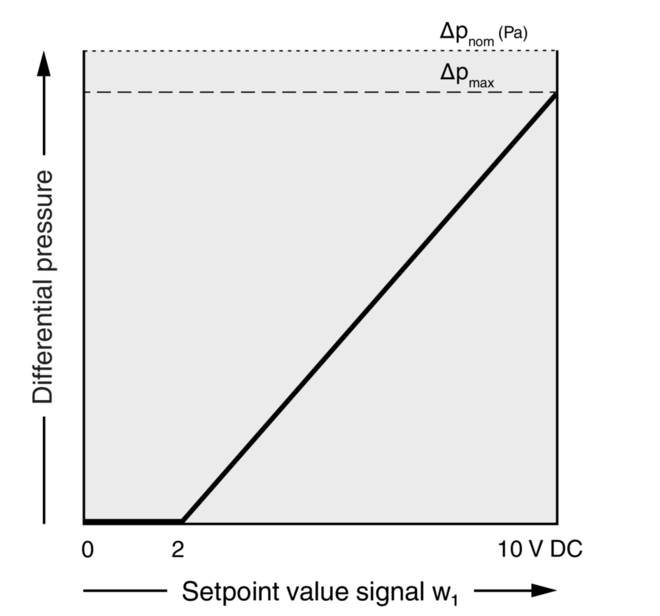 It is possible to change Δp at a later stage but only within the factory set pressure range. 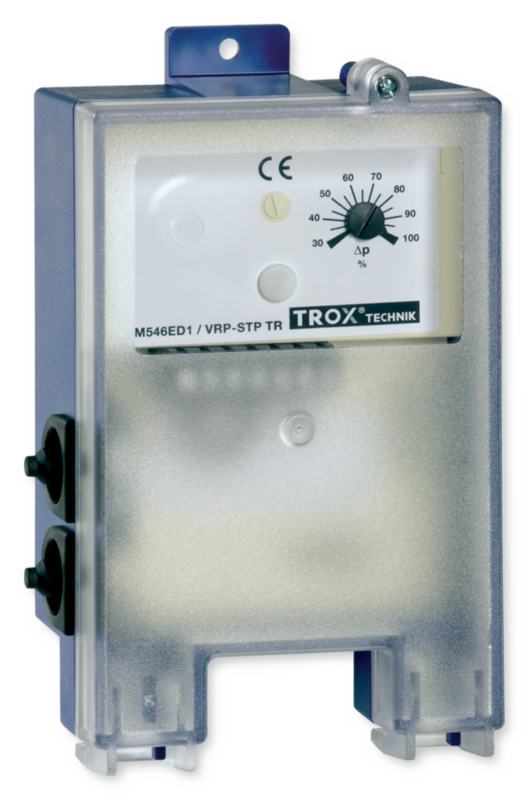 A setpoint value signal enables variable pressure control. The control range is from Δplimit to Δpmax. Variable pressure control requires that the link between terminals 2 and 4 is removed. The required differential pressure is set at the factory. 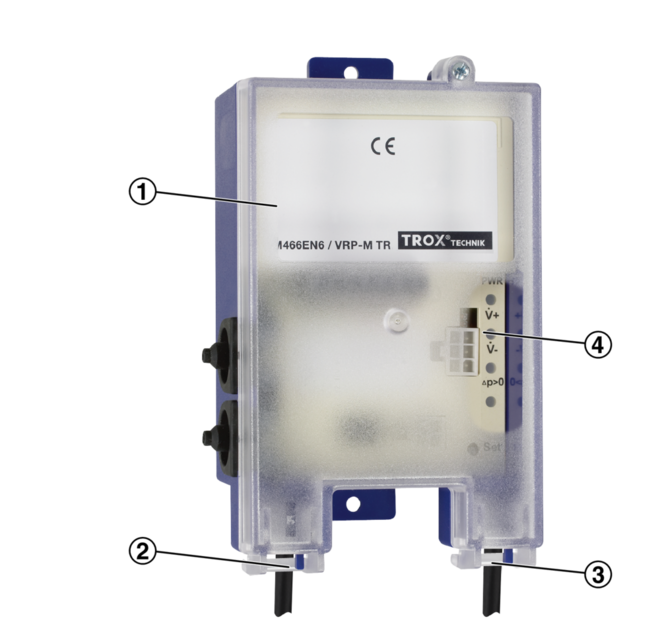 The effective pressure sensor of the VAV terminal unit is short circuited.